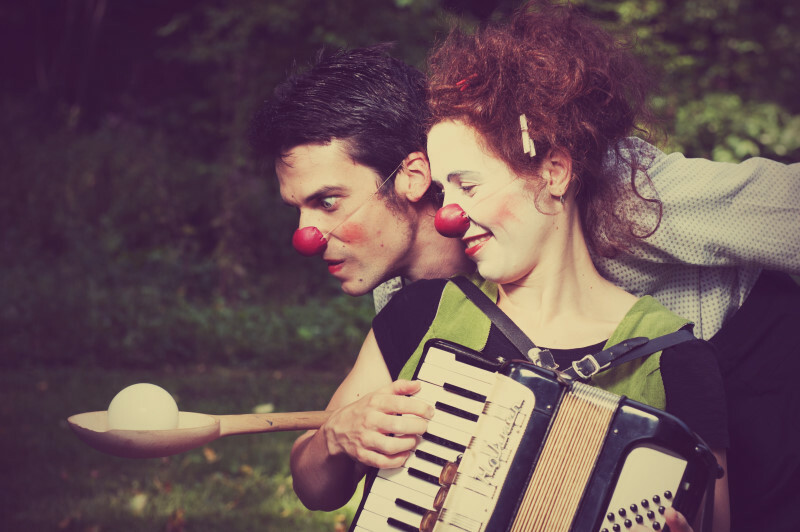 We are a clown-duo consisting of Clown Nieb and Tine Florine. Since spring 2016, we are named ‘Compagnie Lapadou’. Our goal is to make this world a little bit richer with our ideas and stories. Two figures run across each other unexpectedly at a trivial place. This casual encounter develops quickly into an action-packed play, in which the curiosity for the other and his belongings couldn’t be higher of interest. One or the other trifle during this inconspicuous approaching brings especially Tine into major conflicts. In between Clown Nieb rather feels like running of, without success. A mixture between poesy and clownish witticism awaits those who decide to experience this fiasco.
" With a deep sense of mimic art and subtile gestures, which have been translated into fantastic miming, the two of them capturing their audience. In the end not only children, but also the adults were excited and went with sparkles in their eyes and a contented smile home." 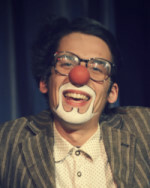 We are gladly diversifying workshops for clownery with different emphases in improvisational theater, clownish play, juggling, acrobatics and pantomime. According to interests we provide an insight into the different themes or work towards a concrete goal with (for example) a closing presentation at the end. 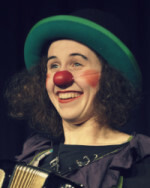 Tine and Clown Nieb like to mingle with people and surprise their guest with clownish play and tricks. For both of them every moment becomes a stage performance. Come along, when Tine and Nieb mingle with the crowd! Are you still missing the salt for your festive evening? We will gladly enhance your party, event or children birthday party with our clownish skills. 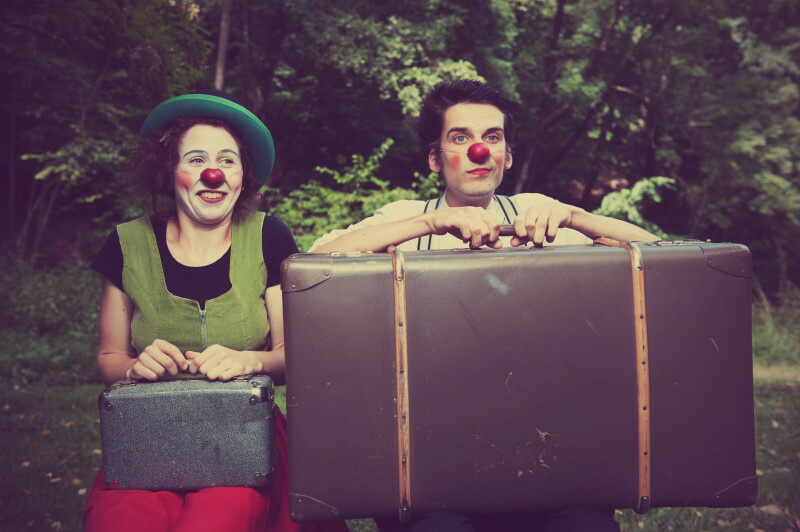 "Like before the Gala, the clown-duo Compagnie Lapadou brought an additional cheerful note to the family afternoon, which not only the kids enjoyed."